Home Tags Posts tagged with "koryo tours"
Pictures have emerged showing the inside of the 105-storey pyramid-shaped Ryugyong hotel that has been under construction in Pyongyang for 25 years. North Korea began building the Ryugyong hotel in 1987, but construction was halted for 16 years when funds ran out. 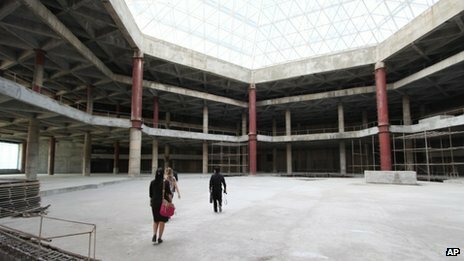 Although work restarted in 2008, the hotel has become, for many, a symbol of North Korea’s thwarted ambitions. The tour company that took the pictures say the hotel is now due to open in two or three years time. Few people have been allowed inside the notorious hotel, which has been variously dubbed the “The Hotel of Doom” or “The Phantom Hotel”. 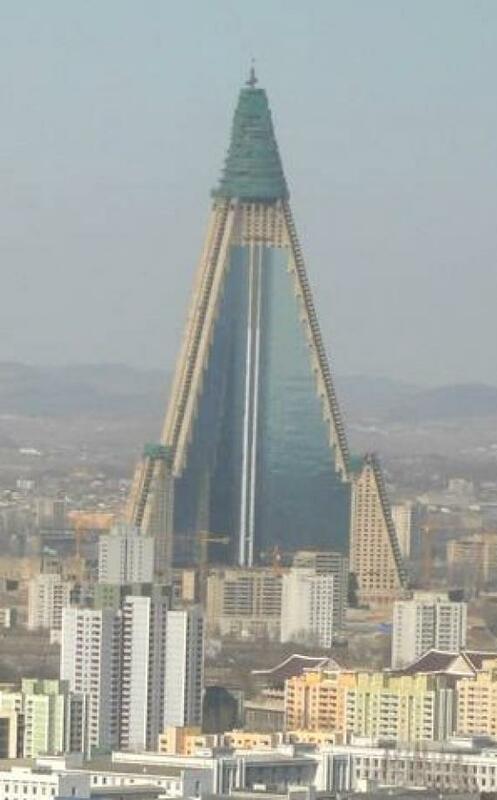 When conceived, the Ryugyong was intended to communicate to the world an impression of North Korea’s burgeoning wealth. But other economic priorities meant that the hotel had to be put to one side, and it remained untouched until a city-wide “beautification scheme” was introduced five years ago. At that time, external construction was forecast to take until the end of 2010, with work on the inside being completed in 2012 at the earliest. But the photo of the interior taken by Koryo Tours, a Beijing-based company that specializes in travel to North Korea, shows a vast concrete lobby with barriers around the edge of each floor.